Dave Batista has many tricks in his bag, from acting, fighting as a mixed martial artist, and being signed to the WWE as a pro wrestler. The keen body builder is returning from his exile from the WWE for the final edition of Raw before the Royal Rumble pay-per-view. 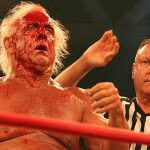 He is also the first star confirmed to be in the Royal Rumble, an event he won in 2005 . 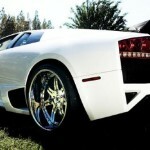 A white Lambo with chrome split rims suits his character perfectly. WWE star, John Cena has every classic and sought after muscle car on the planet, including a gorgeous orange Roadrunner. 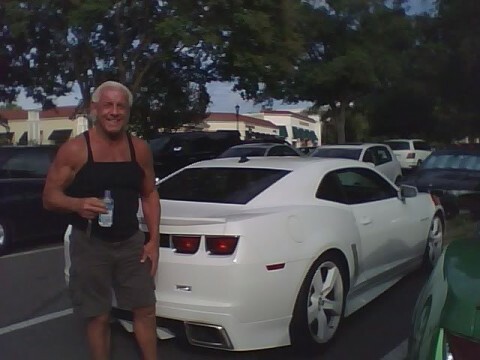 Just think of any muscle car icon and Cena most likely owns it. 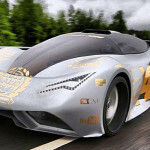 For that reason, I have decided to include the custom build he used for the 2013 Gumball 3000 rally. Cena’s Frankenstein creation is called (wait for it) the InCENArator – and they say wrestlers have air between their ears. 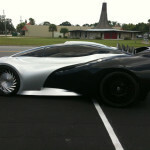 The car was built by reality show “Dream Machines” Parker Brothers Concepts in Florida. The main structure and power comes from a wrecked Corvette chassis and engine, the foundation over which Cena let his creative juices flow. It’s a rather striking car, a real head turner, but I can’t help but think of the cult movie “The Wraith” (Google it and you’ll see exactly what I mean). 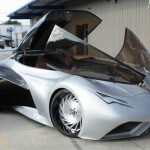 It looks like a Hollywood attempt at creating a car for the year 2062. Unique but just falling short of cool. 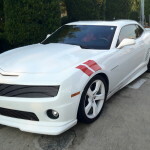 Mexican WWE Superstar, Alberto Del Rio is a two-time World Heavyweight Champion, a top class act, just like his rides. Not only does he have a penchant for the Italians, Ferrari and Maserati, Del Rio likes the British Rolls-Royce and Bentley too. Adding another Brit to his garage, D2Forged accompanied the Mexican on Monday Night Raw, showing off their wheels on his Aston Martin Vantage. The Vantage is a gorgeous car straight out of the box, so this cherry paint and custom rims only add an extra layer of allure to it. 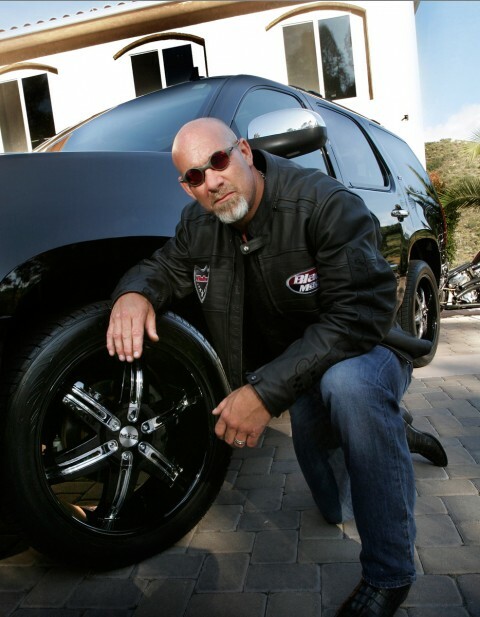 Here is former wrestling star Bill Goldberg posing infront of his MOZ wheels on his 2009 Tahoe. The wheel is called the Shine and the finish is black and chrome. Two very good things about this setup. 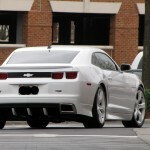 1 – The 6 spoke wheels match the car perfectly since it is a 6 lug. Sometimes you see people drilling 6 holes into a 5 spoke wheel and it completely ruins the design of the wheel. 2- The tires still have some meat on them. Their not like most of the rubber band tires we see with aftermarket rims. When you drive an SUV like a Tahoe, you dont want to be worried about bending your wheels every second. They look like their tucking in a little bit in the rear, but not a big deal.